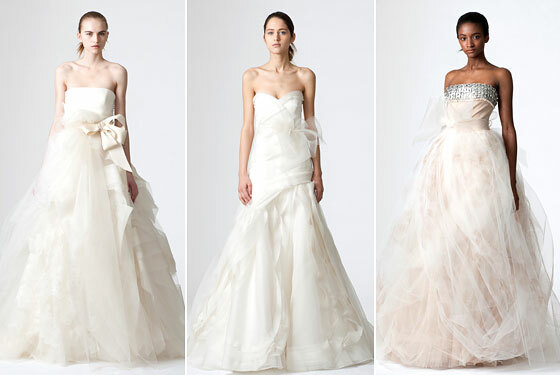 When it comes to the wedding the no.1 fashion designer is of course Vera Wang. 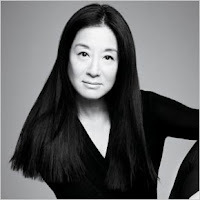 She is a Chinese-American fashion designer based in New York. She has made wedding gowns for lots of celebrities such as Alicia Keys, Mariah Carey, Victoria Beckham, Jennifer Lopez, Avril Lavigne, Uma Thurman, Kate Hudson, Chelsea Clinton, Ivanka Trump and many more. Her style is very unique. She uses rich fabrics, lots of details (hand beading), with touches to traditional styles, avoiding both harsh modern looks and old-fashioned sweetness. 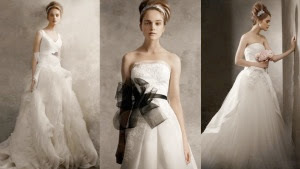 Prices of her Luxe collection start at $6000 but most of her dresses cost between $2000 to $7000.